The Journey in 2018, is outfitted with some brand new upgrades and additions. All of the Journey's in 2018 will also come standard with a third row of seating. With this addition, the Journey now stands as the most affordable three-row seater crossover currently on the market. Another huge change for 2018, would be the downsizing of trims. To make features more easily accessible the trim lineup now includes just the best four trim levels. A new Blacktop package has also been added with the ability to add Black Noise 19-inch aluminum wheels to your chosen trim! The SE trim of the 2018 Journey has standard features that include 17-inch steel wheels, dual-zone climate control, keyless ignition and entry, a 4.3-inch touchscreen interface, a height-adjustable driver seat, and a six-speaker sound system. At this trim level, you can also add-on a Connectivity package, a Popular Equipment package, or even a Comfort/Convenience package. The SXT trim adds features like 17-inch alloy wheels, voice commands, a USB port, a leather-wrapped steering wheel, Bluetooth, rear seat vents, overhead console storage, a conversation mirror, and a satellite radio. This trim comes with the option to add a Uconnect 8.4-inch touchscreen Package or the SXT Premium package. 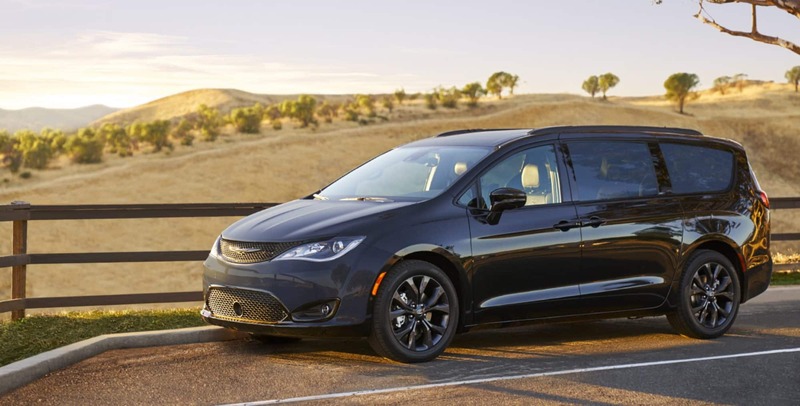 The Crossroad trim level includes 19-inch black-painted alloy wheels, a rearview camera, three-zone automatic climate control, aimable interior lamps, and an 8.4-inch Uconnect touchscreen system. Available options for this trim would be a sunroof, leather upholstery, heated front seats, navigation, a sunroof, a premium sound system, or a Driver Convenience package. The GT trim tops the lineup with features that include remote start, a security alarm, 19-inch alloy wheels, a premium stereo system, leather upholstery, and a heated steering wheel and front seats. You can also add a Trailer Tow Prep package to this trim level as well. Inside the Journey, you will find either a 2.4-liter Tigershark Inline-4 or a 3.6-liter Pentastar V6. Both of these engines come with variable valve timing for improved fuel efficiency. In the SE, SXT, and Crossroad trims you will find front-wheel drive, a four-speed automatic transmission, and the Tigershark engine. In the SXT, Crossroad, and GT you could also find front-wheel drive, a six-speed automatic transmission, and the V6 engine. This V6 engine is also available with all-wheel drive in every trim level. The fuel tanks come in different sizes dependent on the drive mode. With front-wheel drive, you receive a 20.5-gallon tank, but with all-wheel drive, you receive a 21.1-gallon tank. What is standard for safety? Almost every safety feature and driving aid comes standard for all the Dodge Journeys. In fact, the only features that come as an option rather than as standard would be the ParkView rear backup camera, the ParkSense rear park assist, and the security alarm (which actually comes standard on the GT). The standard features include items like all-speed traction control, keyless enter n' go, electronic roll mitigation, a driver's side seat-mounted front passenger and driver airbag, electronic stability control, and advanced multistage front airbags. Are you interested in taking a 2018 Dodge Journey out for a test drive? Give us a call or stop by our lot!